﻿﻿The Justice Snapshot is designed to accommodate a fast paced, risk-laden environment in which the criminal justice system has been severely eroded by conflict or disaster. Within a narrow, 3-month time-frame, it engages with development partners, national authorities and non-governmental actors to produce a common evidence base for planning and costing early recovery in the justice system, while providing a monitoring and evaluation framework to measure progress. 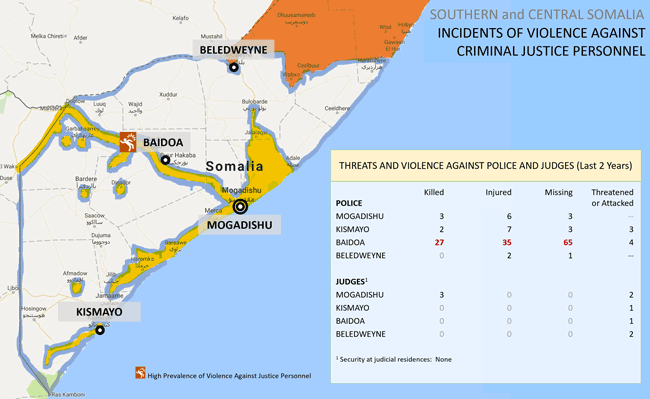 ﻿﻿Experience in Afghanistan, South Sudan and Somalia has shown that criminal justice data although scattered do exist. The Justice Snapshot brings these data together with surveys and practitioner interviews to create an accessible and easy-to-update website that encourages national institutions to invest in data collection to inform priorities in early recovery. 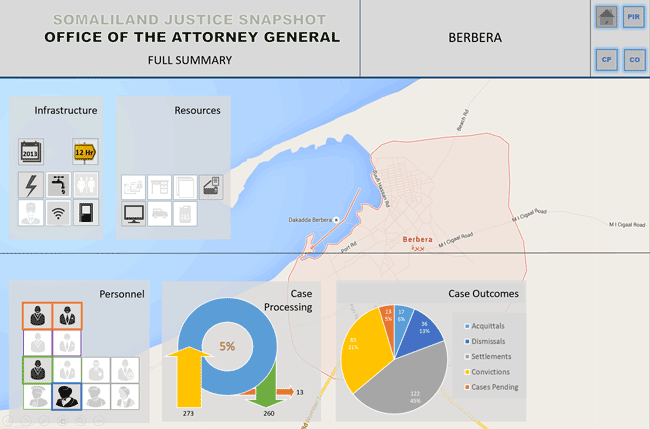 ﻿The Justice Snapshot sets the criminal justice system in the context of the wider security environment. It depicts zones of control which could limit access to justice, threats to justice actors, and the internal migration of people, which could place unmanageable pressures on the system. It provides a roadmap to proactively addressing extra-legal conditions that could limit and otherwise frustrate efforts to rebuild a national justice system. The Snapshot sets out the political economy of criminal justice and where people turn for justice. It depicts the roles that traditional arbitration, state justice services, or military protocol play and when and how often people resort to one over another. Most importantly, it leaves all stakeholders with increased analytical and monitoring capacity. By embedding the vast array of information that has been collected, analyzed, and visualized within a website, which automatically updates as new data are entered, the Snapshot establishes an increasingly accurate baseline of data to inform justice policy going forward. 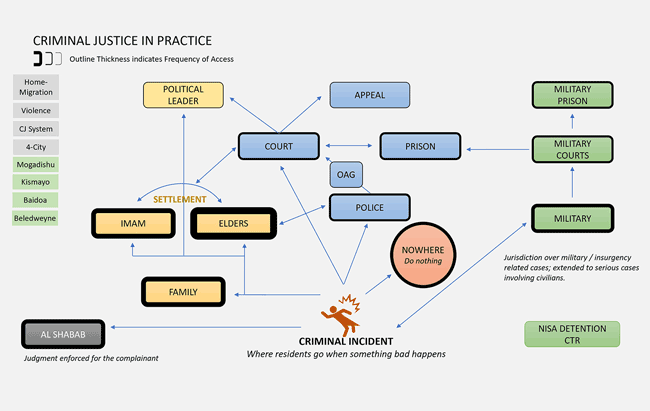 inform a more responsive provision of justice services, especially where armed groups or other authorities such as the military offer competing approaches. It’s Actionable, compiling data from the ground level of individual police stations, courthouses, and prisons to identify weaknesses or gaps in personnel, infrastructure, and material resources. The data enable planners to assess and address strategic building, equipping, and training needs and to monitor and evaluate progress over time so as to scale up what works and remedy what does not. It’s Accessible, Quick and Transparent, applying a fast-paced and well tested methodology, the Snapshot uses live, interactive, updatable visualizations to bring into sharp relief nuances in data, instead of a static, 500-page report; while signaling discrepancies through data notes and making all source data available to users. It’s Collaborative and Transferable, engaging justice institutions from the beginning in collecting and analyzing their own data and enabling national authorities to take over administration and update of the Snapshot following initial implementation. It’s Objective and Apolitical, generating a series of data-driven views of the justice system, ranging across security and migration to infrastructure / resources, case flow and governance—weaving them together to illustrate how the criminal justice system is functioning. 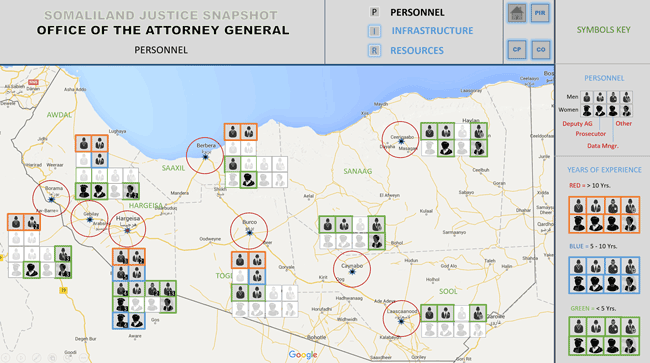 ﻿GJG and Justice Mapping have conducted Justice Snapshots in Afghanistan, South Sudan, Somaliland and Somalia. 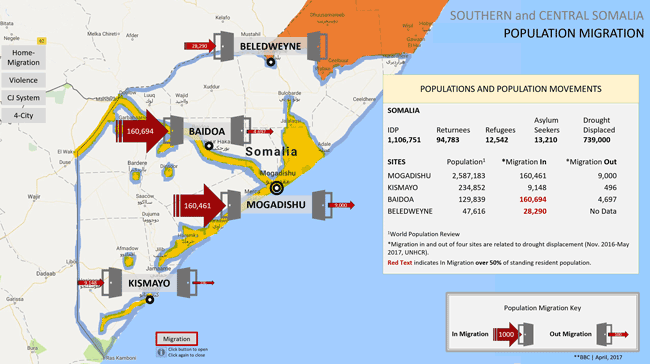 A series of Justice Snapshots has recently been commissioned of Jubaland, Hirshabelle, South West states and Banadir in South Central Somalia and of Somaliland (DFID/UNOPS). © Copyright 2019 Justice Snapshot. All rights reserved.